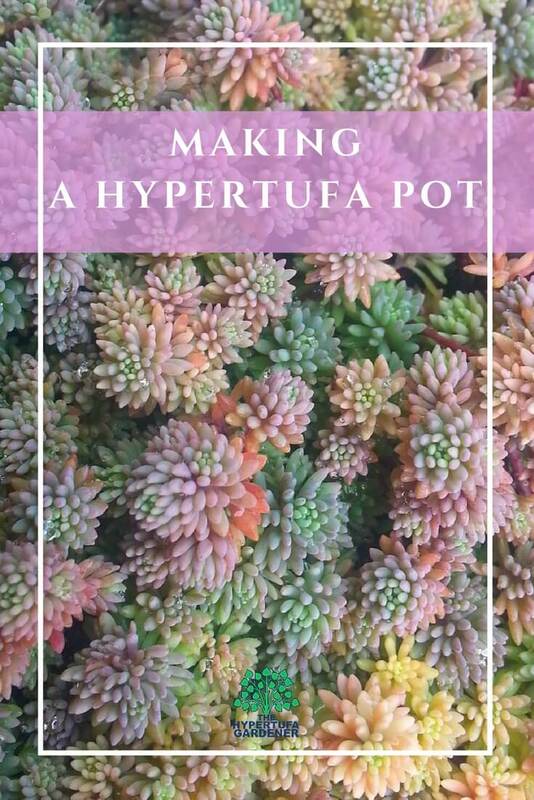 I love to see other people making Hypertufa Pots. Today I am featuring another lady making a hypertufa pot . This lady is so good at showing how she is doing it and I feel it is easy to follow her steps on making these stone planters. I just couldn’t resist featuring her on my blog. Her video is sharable from YouTube and I think it deserves more sharing. The information shows she is Anne Brierly of Buffalo ( NY) . I just love her casual explanation and wish that I had her set up. I can’t tell if she is in a garage or similar building or if this is in her basement. But I envy all the room she has.Wow! Don’t you think she is really organized? I did pick up her hint for storing the Portland cement in bags so that it is easy to handle . And it appears she may buy her supplies from a gardening supply company. I got some good deals this past summer when I purchased vermiculite from a gardening supply company. It is one in Xenia Ohio called BFG Supply and it just looked like an office building, but it is open to the public , not just nurseries and farming co-ops. Just one of the perks of taking the Master Gardeners class. You get to find out things like this! 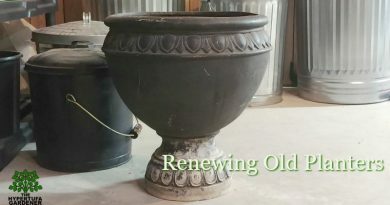 Making a hypertufa pot is fun, economical, and useful since you can use these pots in container gardening inside and outside. These hypertufa planters and pots can be used in the winter for container gardening for herbs and other houseplants. I have a lot of my plants which I must bring inside in my “almost” hypertufa planters. You can make those in a day or two and they are light and easy to carry around. There is a page here explaining how to make those. 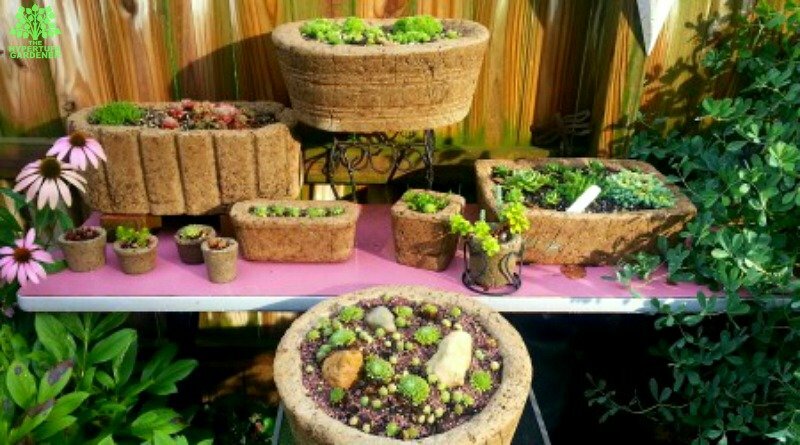 If your weather where you live is still nice, or maybe you are “down under” and are just getting spring-like, make some concrete planters for outside, but make them with hypertufa and you will love them. The greatest thing would be that they are still moveable when made with hypertufa, since those concrete planters can be so heavy! and not to mention SO expensive! Make one yourself to your specifications and you will be saving a lot. Depending on the size, you could save hundreds! Per Pot! Anyway, let’s get to her video. I think you will love it. Let me know what you think in the comments. And please visit The Hypertufa Gardener Group Page and leave me some photos of yours. I would be glad to share your creations with everyone! Hi, I am Kim and thank you so much for visiting my magazine! 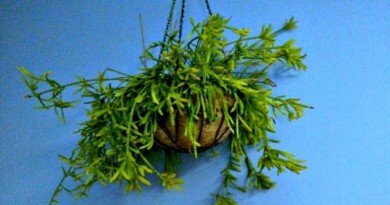 I am a gardener and a hypertufa maker. If you came here to learn about hypertufa, I have a lot of information. But I also write about flower gardening and using succulents which are great drought-tolerant plants. Of course, I have some recipes and some random family concerns which I hope interest you too! Please page through the Magazine and find what you like! and Subscribe! 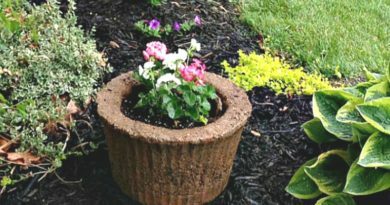 Let’s Try A Hypertufa Planter from a Hose Storage Basket! Copyright © 2014-2019 The Hypertufa Gardener All rights reserved.